School security is an increasing concern these days. You hear about it all too often in the news. A shady character makes his or her way onto school grounds and causes horrible tragedies. It happens so often now that most schools have a police resource officer on staff all the time, even elementary schools. However, this is not always enough. Schools should be secure inside and out throughout the school day and afterward. The best way to do this is to improve the quality of the locks used on interior and exterior doors, and even the padlocks on fences. Of course, the extra security measures being taken by schools today are the response to a totally changed social environment. Schools of the past didn’t have the same security concerns that schools have in this day and age. Only twenty to thirty years ago, it was unheard of for someone to come onto a school’s property and wreak havoc (whether that person is a student or a stranger). The only locks that were needed were on the classroom doors. Most classrooms had simple key locks, and it was highly unusual for a school to have a security fence that went all the way around it and was locked during the school day. Lots of kids would go to school playgrounds after hours to play, and ride their bikes up and down sidewalks along the wings of the school, where classroom doors were accessible to anyone. You could even walk right up to a window on a door and look inside the classroom at any time, day or night. The only parts of the school you couldn’t get into after hours were usually interior hallways, where the main office was located, or sometimes classrooms with expensive electronic equipment. Those days are long gone, with school property being secured by fences and off limits during the hours the school is not in some kind of use. In the very distant past, schools didn’t even have that minimal level of security of just a few decades ago. They were largely unguarded and often unlocked. In the rare cases where they were locked, it was only with a simple key lock on a front door, and the teacher was often the only one who had the key…though he or she would gladly give it to anyone who needed to get inside the school. School security was not really a concern for our grandparents’ generation and prior. Today, though, security is a prime concern at schools. In fact, governments are always looking for ways to improve security at schools, and each new tragedy that occurs is an impetus for additional school security measures. We’re already at a point where even well-known parents to the school have to sign in at the office each time they come onto the property. Schools today aren’t taking any chances when it comes to the safety of the kids who attend there and the teachers and staff who work there. Schools today not only have padlocked fences protecting them during the school day and after, they have a wide variety of interior and exterior locks. Teachers may have keys, but only to areas they are authorized to enter. The only people with keys to every door at a school are usually the principal and the maintenance people. Some schools even have classroom doors that automatically lock from the outside when they are closed, so no one can enter unless they knock first and are identified before being granted entry. Any child who leaves the room to go to the bathroom will have to knock and be identified before being allowed back inside. Some schools lock all doors after the bell rings to begin the school day. Anyone who arrives later has to go to the main entrance to the school, announce themselves to an intercom to the office, and be buzzed in to the school grounds, much like a highly secure office building. In addition to buzzers, panic buttons that connect to both 911 and the school security resource officer’s desk, and security cameras that show what is going on in nearly every part of the building are now a part of the landscape of many schools. Children are getting used to going to schools that are more like high security military bases than the schools the older generation grew up knowing. One area where schools could improve security is by adding electronic locks that open based on fingerprints. This means that when the classroom doors are locked, only those whose fingerprints have been entered into the lock’s electronics can gain entry to the room. The approved prints can be just for teachers, or for teachers and students, and those who have access can be changed as students move away, graduate, or get suspended or expelled for bad behavior. The same thing is true for teachers as they start teaching at a school for the first time, and when they leave a school. Fingerprint locks can be put on exterior doors as well, and only administrators, or administrators and teachers, given access to them. 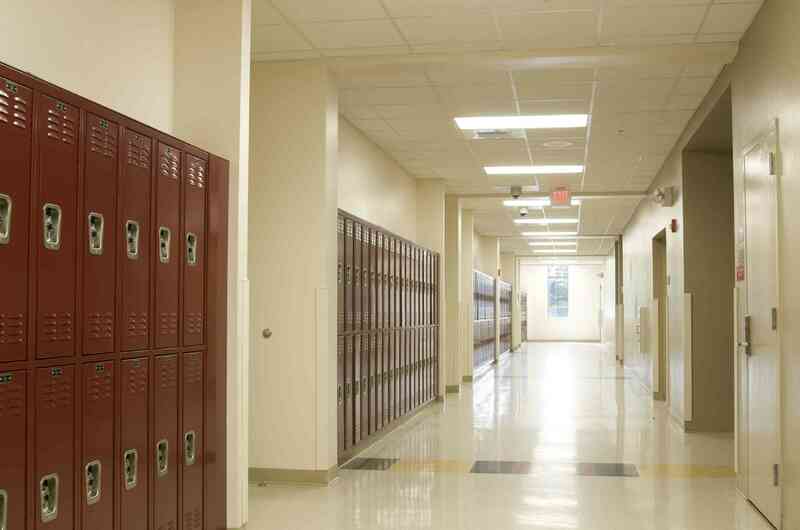 A commercial locksmith can install electronic locks on today’s schools. It is the next natural upgrade in the way schools do security. National, state, and local governments are giving more money to schools for improving security, and this would be a good use of those funds. When it comes to the safety of our children and our educators, we can’t be too careful in this strange new world we all live on. Times have changed regarding school security, and we must change with it to keep the most vulnerable among us as safe as they can possibly be when they are on school property. Don’t be surprised if you bring your child to school one new school year to find electronic locks on the doors. These locks are gaining in popularity even for residential homes. Using them at school is a logical thing, and one that governments will likely get on board with eventually. In the meantime, support security measures at your child’s school. They are there for the good of everyone. Great Valley Lockshop has many years of experience in school security & has helped some of the largest universities in the country with their security needs. If your school needs help with its security, contact us today!